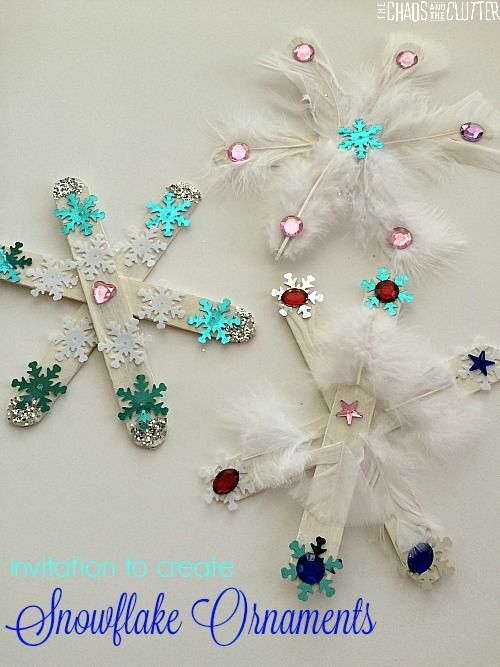 Simple yet effective, arm them with some lolly sticks, paint, sequins and glue - and in no time you’ll have some sparkly snowflakes to hang around the house. Little ones may get frustrated as the sticks wobble about when putting the sequins on but you can get around this by glueing them together first and waiting for them to dry. Craft you can wear! This fabulous reindeer hat, using the kiddo’s own handprints as antlers, won’t just be fun to make: Once created, unleash them into an imaginative game where they are the stars of the show. A great activity for little ones, who are still mastering hand-eye coordination, is making fingerprint light pictures. First, draw a wiggly black line on a piece of paper, then show them how it’s done, and let them get busy. It wouldn’t be Christmas without wheeling out tubs of cotton wool. Perfect or snow scenes of all types, no child will be able to resist this lovable snowman. Were paper plates ever made for eating from? We’re not sure, as they are such a versatile craft supply! 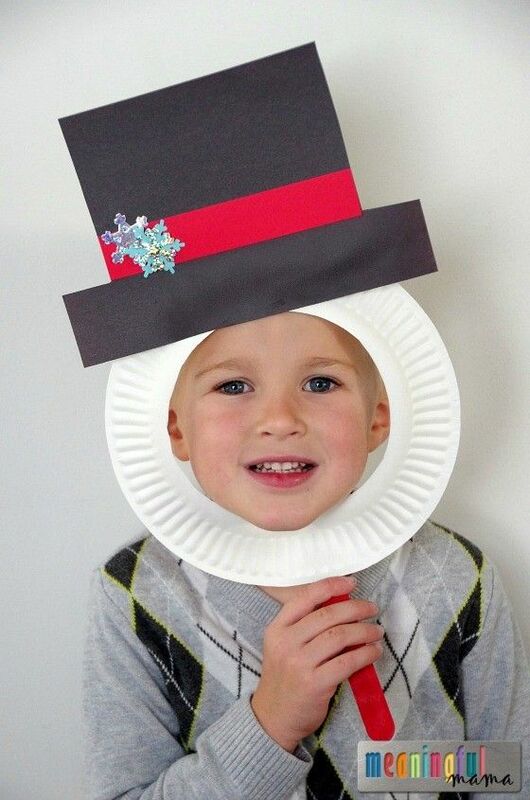 Here, use them to make Snowman paper plate masks. It’ll become a favourite toy of the season and perfect for snapping a festive picture. 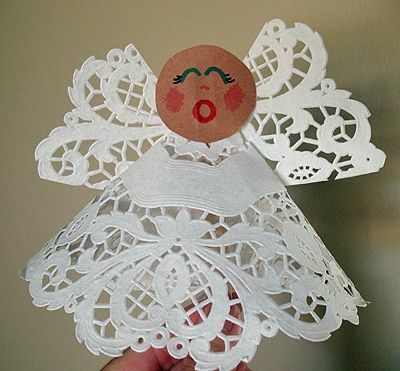 Old school, but simply delightful, angel doilies are a fun craft for your little angels. Help little ones with the folding. Older children may enjoy adding some extra adornments to their angel’s robes. Small kids love big crafts! With not a lot of effort, they can create an impressive piece of Christmas craft just by using paper chains imaginatively. Definitely one for older kids, over 8 or so, this charming little chappy is made using a sock and some glue! It’s something to keep them busy and out of mischief when it’s cold outside. 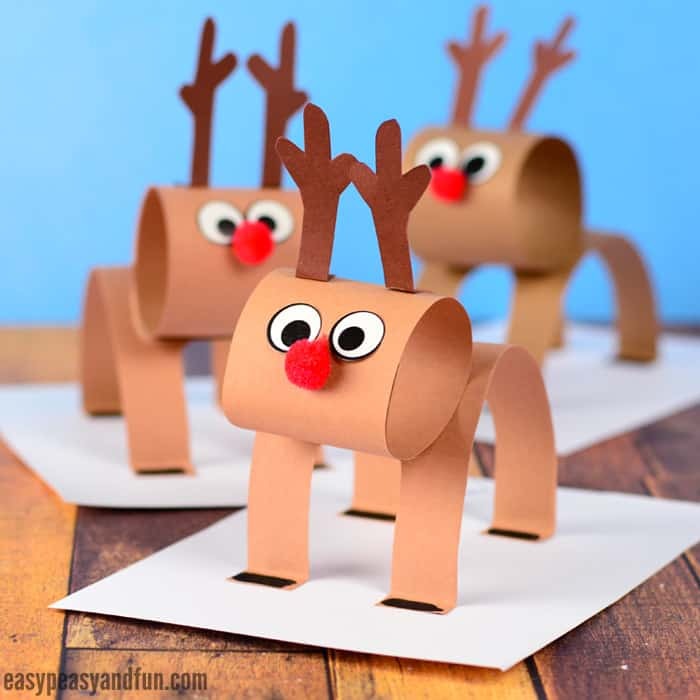 Practice cutting and sticking as you make these fun 3D paper reindeer together. Make a whole herd and we’re sure Santa will be jealous. 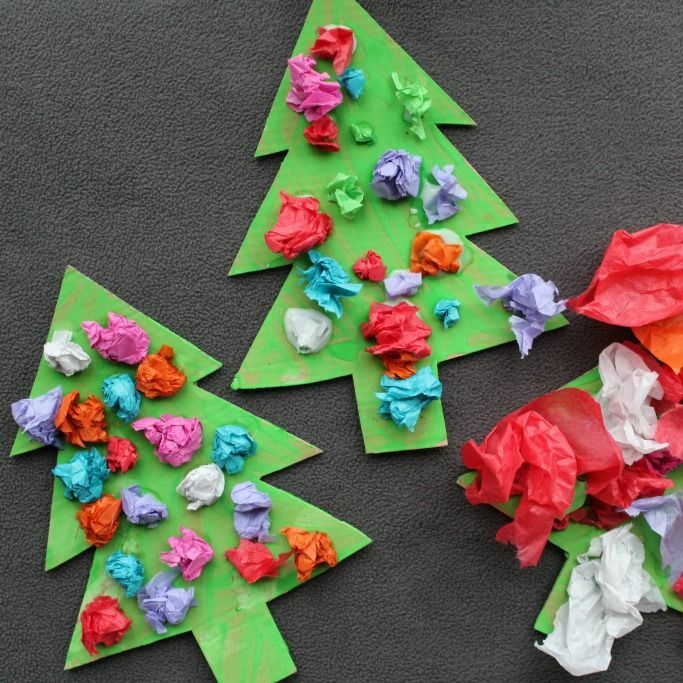 A perfect Christmas craft for even the smallest of fingers is making scrunch tissue paper Christmas trees. Simply tear up some pieces of tissue paper and let them scrunch and stick to their heart’s content. At Christmas time we’re surrounded by twinkling lights. Use some black card and some tissue paper to make light catchers come to life. 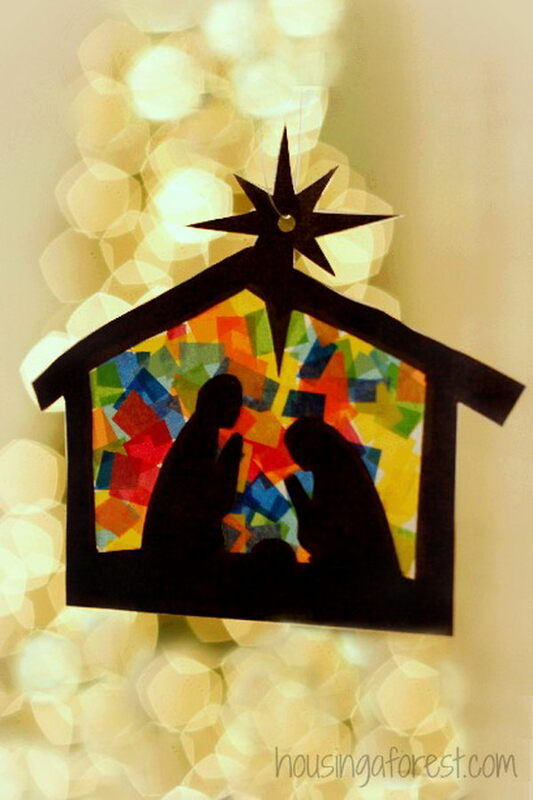 We particularly like the nativity scene as a light catcher. 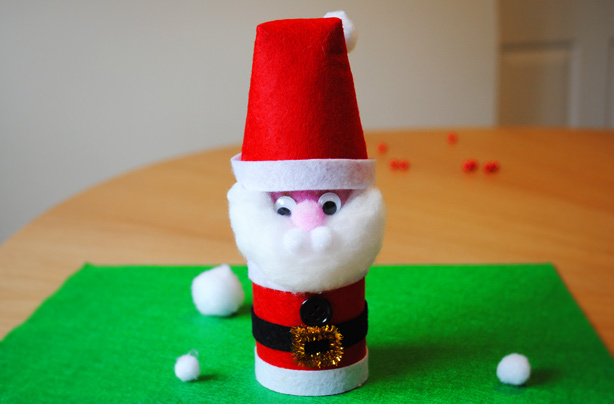 Time to dig in the recycling bin and pull out some toilet paper rolls to make these cheeky Santas. You’ll need the cotton wool again and maybe a googly eye or two. 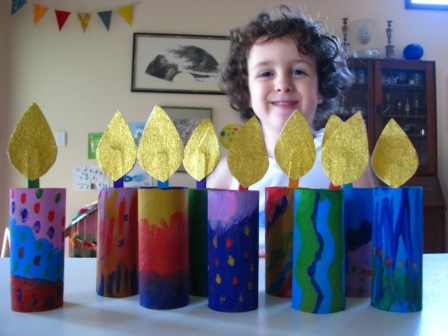 Don’t put the toilet rolls away just yet: instead use them to make this decorative candles. Kids’ imaginations and creativity get a free reign as they come up with their own designs. Being able to get stuck in crafting, but still come up with something that looks ‘as they want’, can be a tall order for our younger crafters. 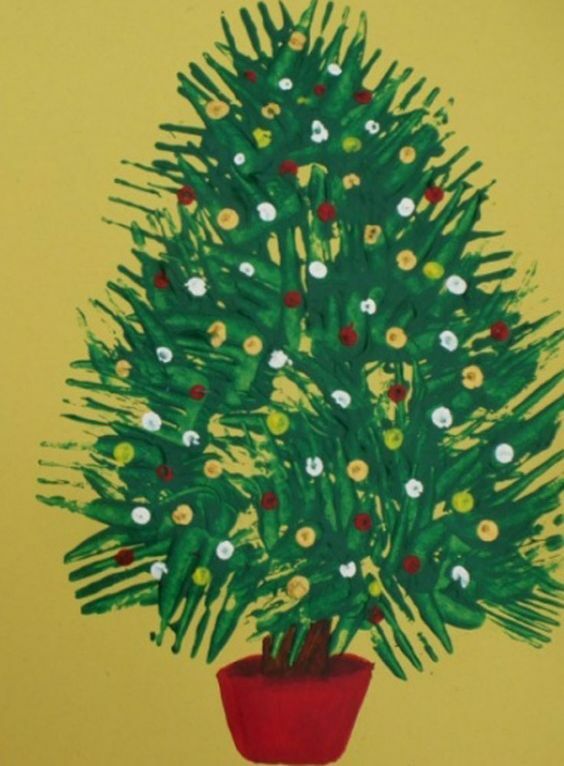 Using a fork and some green paint, then a cotton bud with colours, your little one can create this impressive Christmas Tree picture. This will definitely be one that is brought back out in years to come: Capture this moment in time with this gorgeous mistletoe canvas. Even the very youngest babies can get in on the Christmas crafting action. 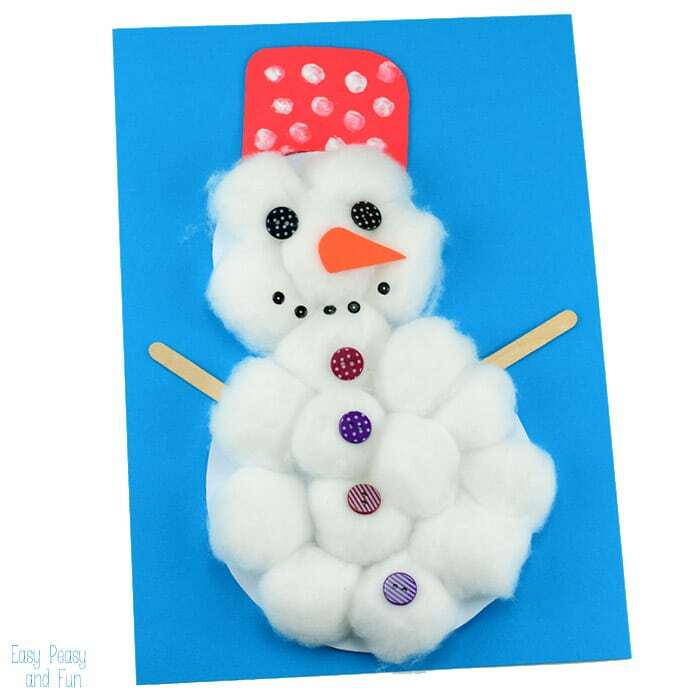 Have fun in the moment of making Christmas crafts. Come the New Year, pack their craft away with the decorations and bring them out year on year - perfect festive memories in the making!